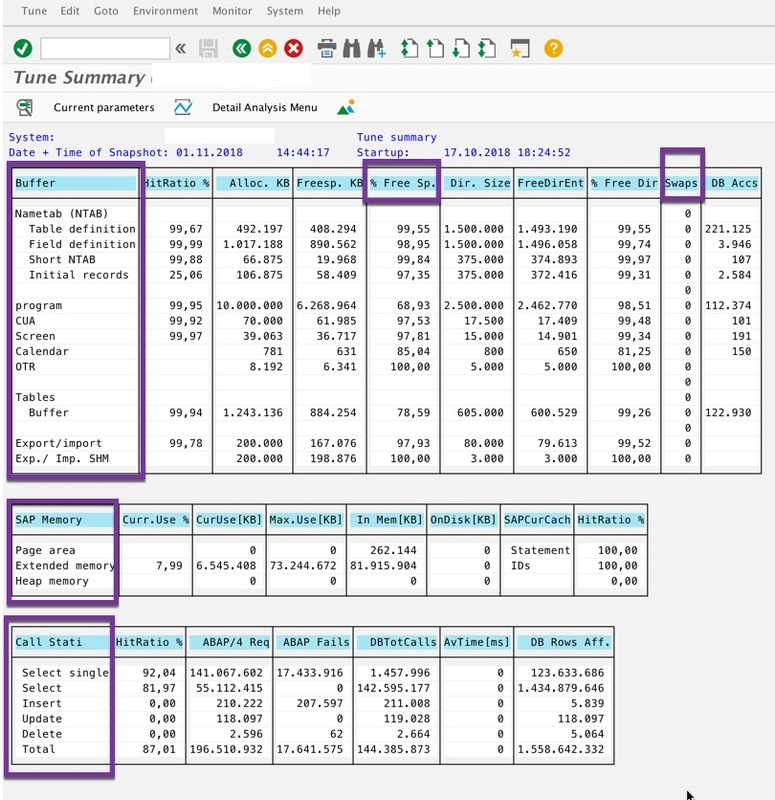 STAD is used for performance analysis. It explains how the resource consumption has occurred on the BW side, while viewing the lumira reports. 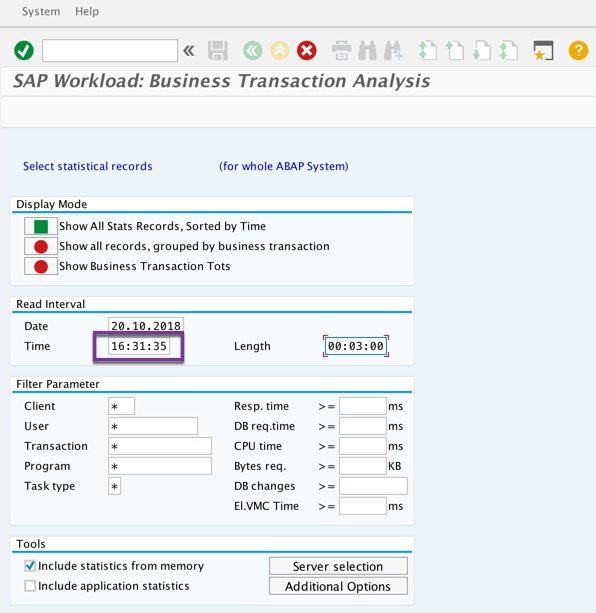 It provides BW statistics like DB time, CPU time,Memory etc on USER level. Execute STAD transition -> fill the start time as the one recorded and provide the duration of the run(i.e. 3min) -> click enter. Statistics of all the RFC calls triggered , during the viewing of lumira document is captured and its corresponding metrics is captured. 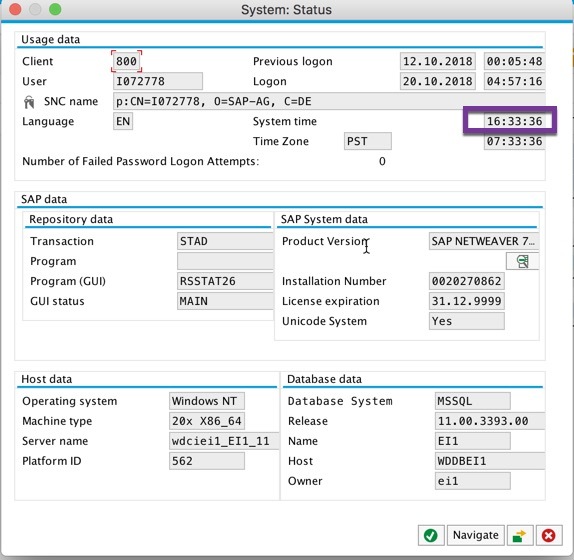 It has a “column named USER” that can be used to track user specific activities. These statistics gives an initial feel of “how BW is responding” to the request triggered by Lumira server. This transaction is used for getting all the user list, which has logged into the BW system. This gives memory and response time tracking on the user level. It also gives an idea about the client machine(i.e. the lumira server), through which the request is triggered . In Cluster setups, this can be used to understand, from which server majority of requests are being triggered to BW. 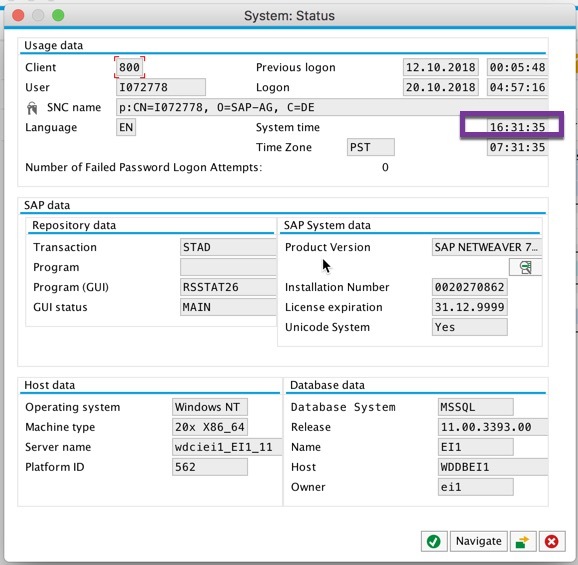 Which is used to monitor the current and historical tends of SAP server/system utilisation. 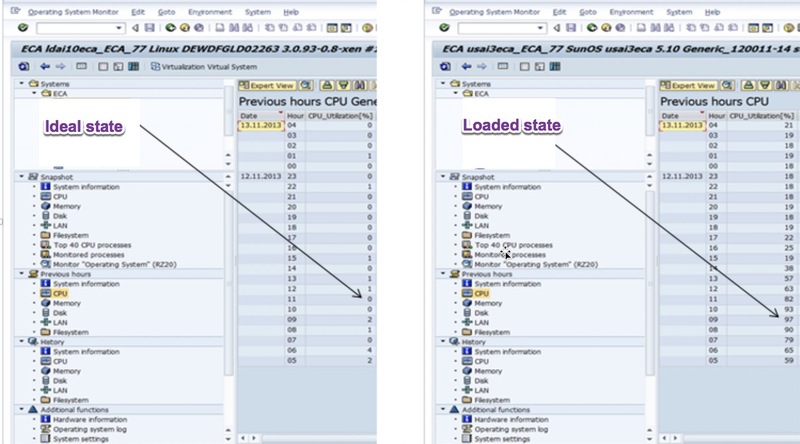 Below example shows how CPU utilisation has occurred with and without load. If the CPU utilisation has increase above 70%. Then there might be some slowness in the response time. 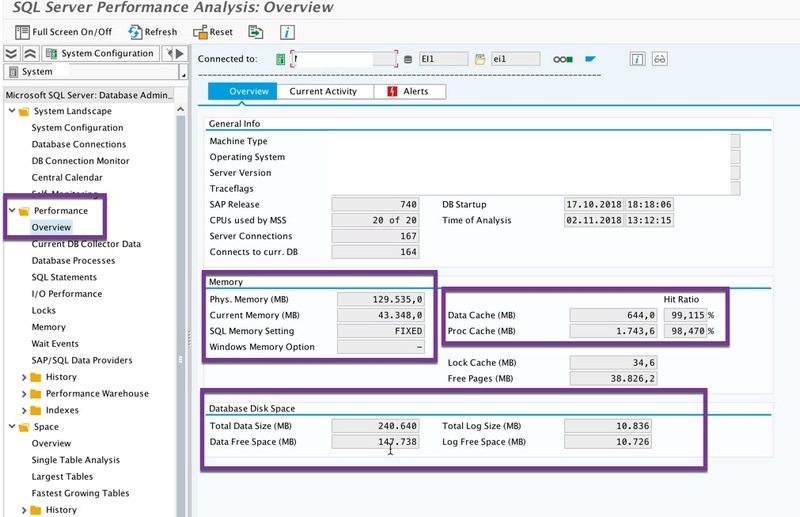 This transaction is used to monitor “SAP Buffers and SAP Memory areas”, to understand what percentage of allocated memory(under each memory segment) is being occupied. These details could be used, to decide if memory block size needs to be increased or not(using the corresponding BW profile parameters). Column named “SWAPS” gives a clear picture on how the application is using the memory. Ideally this column should be empty. Below snapshot shows the import area’s to look for. This transaction is used to identify the current and historical trend of hardware utilisation, i.e. it reflects the different components in BW and its contribution to the overall load in the system. In the below snapshot, it can be observed that the majority of the load in the system is due to Remote Function Calls (RFC) and also shows how the majority of response time is distributed between DB and CPU time. 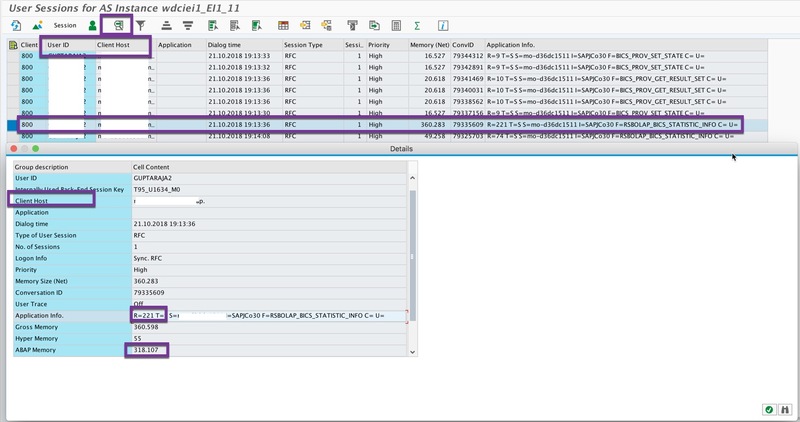 This transaction is used to monitor the behaviour of “DB access to specific tables”. Every DB request is categorised under “non-buffered/single record buffered/generic area buffered/fully buffered”. If the Buffer state is categorised as “INVALID”, this means that the table is modified and thus has invalidated the table content in buffer. Which implies that the read access takes place directly in the database. 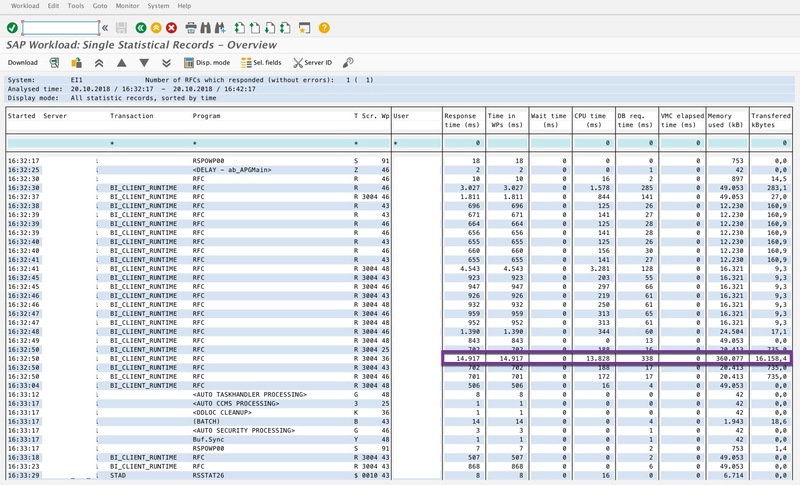 This transaction is used to monitor the Database related performance metrics, which involves understanding the Tablespace size , missing indexes, DB growth rate and many more. 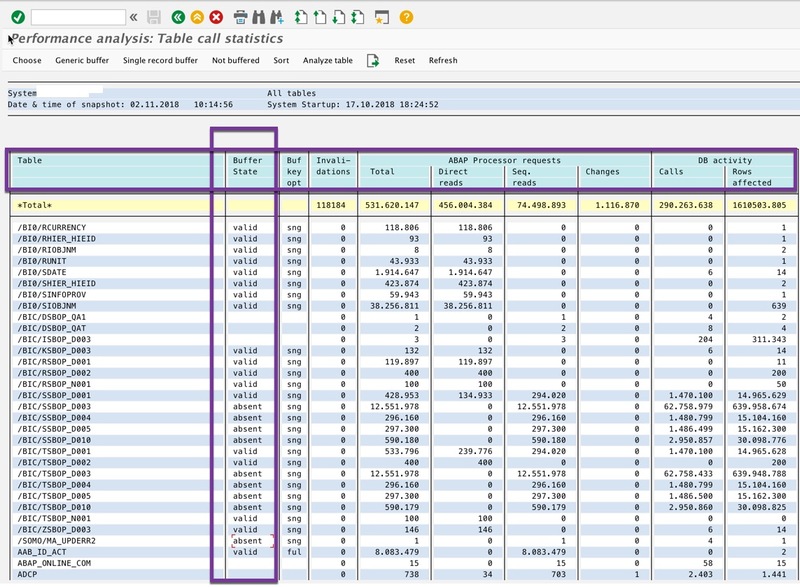 Below snapshot shows the “Space Statistics” , which describes the allocated and the free space. Thus using these transaction in combination, could help in understanding “How BW is performing for different requests triggered from the the Lumira servers”. Performance tuning of “different BW profile parameters” , in accordance with the way the requests are being triggered from the Lumira side, could help in achieving better responses. Great blog Mandanna M.U. It would be nice if you can add Part 2 URL in Part 1.